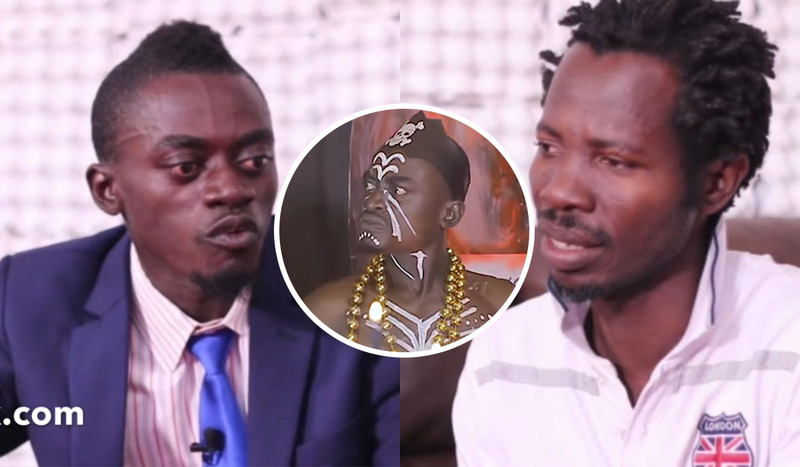 Kumawood star Kwawo Nkansah Lilwin and fetish priest, Top K who have been accused of throwing jabs at their fellow actors, Kwaku Manu, Vivian Jill Lawrence and Emelia Brobbey have explained the song. The two during a closed-door meeting with respected movie producer and evangelist, Mr. Samuel Nyamekye, CEO of Miracle Films said the song was not aimed at insulting any individual as some people have interpreted it. Top K, a member of Lilwin‘s Boss Nation music who composed the song, ‘Motan Me’ which generated hatred among the Kumawood stars disclosed that he had no ill intention of denigrating any Kumawood actor when writing the song weeks back. He revealed that Kwaku Manu, Vivian Jill Lawrence and Emelia Brobbey are not the only persons who have accused him of dissing them in the song. Top K further said that many Ghanaians outside the country have also taken the song “World Cup” stating that he has spoken against them. The fetish priest after clarifying the ‘Motan Me’ song apologized to all those who feel offended. Mr. Nyamekye later advised Lilwin and Top K not to publicly comment on the issue again to resurrect the matter. Watch the meeting Mr. Samuel Nyamekye, CEO of Miracle Films had with Kwadwo Nkansah Lilwin and Top K concerning ‘Motan Me’, a song believed to be a diss tune to actors Vivian Jill Lawrence, Kwaku Manu and Emelia Brobbey.